Exotic cars, crashes, explosions, over the top action sequences are all part of the latest Fast and Furious trailer. 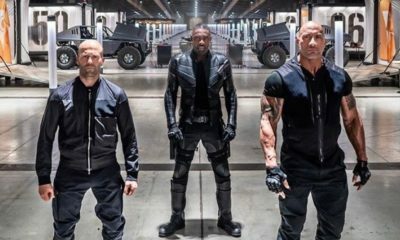 The eighth edition of the popular franchise is called ‘The Fate of the Furious‘ starring Charlize Theron, Vin Diesel, Dwayne Johnson and Jason Statham. The new Fast and Furious movie is coming to theaters near you on April 14, 2017. Batmobile to Bumblebee, the Walmart Commercial is Packed with Movie Cars!